Often an old bathtub is the matter of great discomfort for the users apart from spoiling the look of the bathroom premises. While a replacement project is costly, time consuming and messy affair, a simple refinishing job is easy to complete during the weekend and that too on your own. Here is a convenient method to accomplish the task very easily and within your budget. In case your bathtub has cracks and chipped surfaces, you may require additional materials like the Chip repair kit. For the refinishing paint, you can choose from a range of awesome shades for entirely changing the look of your bathtub. Keep a pair of gloves, some torn cloth, and old newspapers ready at hand, as you will need during the work. Remove the drainage net with the help of a tong. Now take some cleaning agent with bleaching agent into your sponge pad to remove the dirt, iron deposits etc. Rinse thoroughly. If not done properly, repeat the process. Use the wet/dry sandpapers to rub the surfaces to smooth finish quite well. After completing the sanding process, rinse thoroughly and remove the excess water. Before proceeding to the next step, allow the surfaces to dry out completely. If you have chipped surfaces, do take in some time to apply the chip repairing/concealer and allow the resting period recommended on the product instruction. Now is the turn to apply the white enamel paint on the bathtub surfaces. This is a permanent adhesive and very hard to remove if it sticks to other surfaces such as the tiles especially if you have contrast colors. It is better to apply plastic tapes to the borders to prevent contact with other surfaces. For the floor covering, you can use torn, damaged or old clothes, newspapers etc. Read the instructions to mix the ingredients well and apply small patches uniformly with the foam brush. Some pieces of foam may stick to the enamel. This has to be dusted after drying the surface completely. Repeat a second coat after the sanding. Always apply thick coats uniformly and evenly throughout the surface. Once it is done, allow a resting period of three days and fix the new drainage net, trip lever. Remove the tapes now and get a final check if everything is done perfectly. After the resting period and the completion of all the installation processes, you can start using the tub with full convenience. Caution: The chemicals in the tub refinishing kit are toxic and may produce fumes. For greater safety, keep the kids away during the use, wear a respirator, run venting fans, open the windows and ventilators to let fresh air circulation. The DIY bathtub refinishing can be awesome to give a partial makeover to your bathroom helping in getting a new look, a feeling of freshness and most importantly the peace of mind. 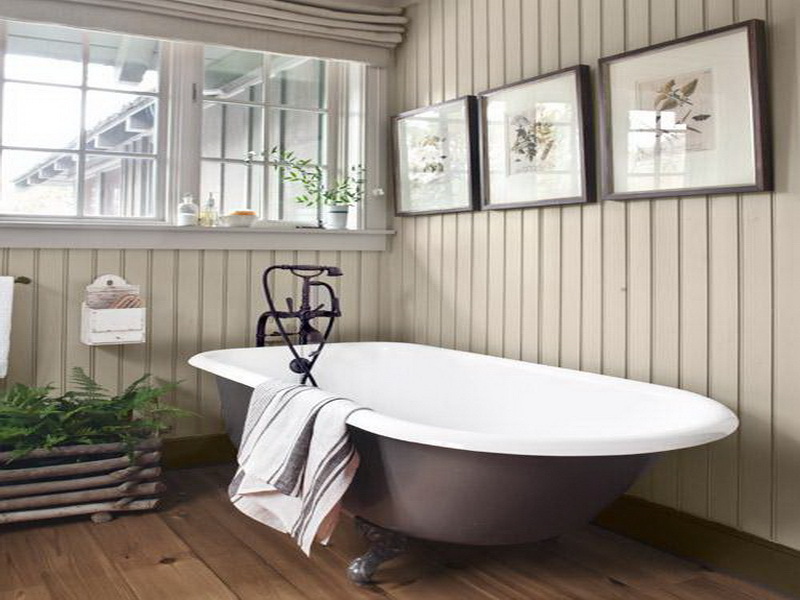 The new bathtub finish will completely eradicate the problems with the old one; can have a glossy look with the convenience of great durability that you can achieve for years to come. I have never refinished a tub before, but this seemed fairly straight forward. I wonder if I would be able to do something like this myself in my first go. Or even at least don’t mess it up bad enough that I can try again. Transform your bathroom into glamorous live well space by smart move! Unispace is a world class showroom of bathroom accessories and designs with a unique look and feel. As Hyderabad's only multi-brand showroom, Unispace has been specifically designed to convey the premium nature of the international brands on display. Unispace is a division of Aparna Enterprises Limited. © Aparna Enterprises Ltd. Built by Creative Open. The perfect example of how a kitchen can provide so much space and yet appear so fresh and light. With an open, urbane flair, Manhattan Uni is truly a dynamic program. Pictured here in White, the range offers 16 colour options. Designed in calm sepia oak and truffle wood colours, Legno features an all handleless carcass making it a masterpiece of pure elegance. A fresh line of 8 vibrant colours and lacquer finish brighten the kitchen. Pictured here in White, Quartz Grey, and Lemon high gloss, Lux epitomises the contemporary open kitchen. A country-style kitchen that makes a distinctive statement. Frame Lack features classic frame fronts, shown here with a colourful sideboard that adds life and variety into the kitchen. The admiration for the striking good looks of Glas Tec Plus never stops, thanks to the stunning glass finish available in 3 colours. The toughened glass front makes drawers and storage units even more convenient. A timesless motif on larder units and appliance housings harmonizes with the carcase and interiors in Kansasoak. white worktop, with open shelves.